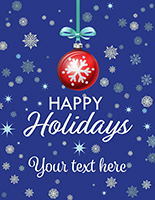 Need to bring customers for holiday sales events? These seasonal marketing posters & multipacks are excellent for retail stores that need some Christmas cheer. 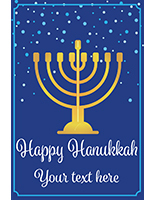 Our blue signage is great for attracting passersby with messaging like "SALE," "Happy Hanukkah" and "Tis the Season." 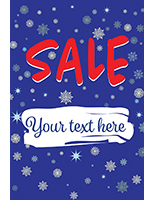 Seasonal marketing posters & multipacks are decorated with snowflakes and white messaging for an attractive festive presentation. 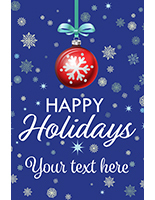 Choose displays with customizable text to feature specific holiday greetings and discount information. 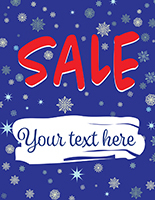 This makes seasonal marketing posters & multipacks great for advertising "Up to 50% Off" and "Black Friday Sale". 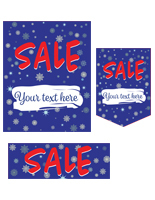 Easily communicate with customers using this decorative signage. 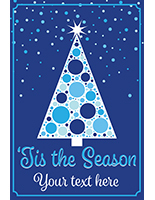 Blue seasonal marketing posters and multipacks are offered in a variety of sizes to fit any retail store. 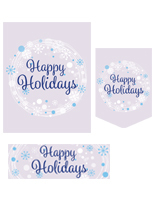 Browse festive signage as small as 18" x 24" and as large as 24" x 36." What's in one of these seasonal multipacks? Each kit includes a total of 12 signs in three different sizes. 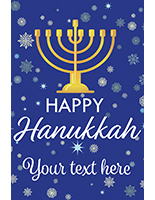 With one of these packs, there are four 22" x 28" displays, four 28" x 9.5" banners, and four 14" x 20" pennants all in the same style. 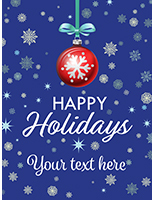 This is great for filling entire stores with festive signage or accommodating businesses with multiple branches. 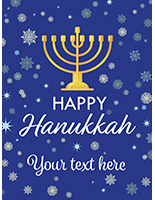 Why choose these seasonal marketing posters? Each sign is printed on premium photo paper with our high quality UV digital imprinting process. 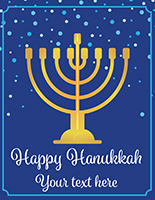 This creates vibrant artwork in full color to spread cheer in any environment. 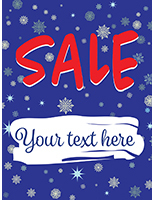 Choose seasonal marketing posters for your store's Christmas decoration this year.